For about two weeks I’d been working on a post about the whole texture discrimination issue. I had a very thorough write up too! If you guys read it you would think I was just angry! Lol I wasn’t I was just giving my opinion. Welp as you can see I decided not to post it ( I know all that hard work gone ). What I wrote was simply just an opinion that may or may not rub people the wrong way. I decided that I did not want to add more fire to the fuel ( did I say that saying right). I love how going natural has evolved over the years but I don’t like how it seems to be a popularity contest. Does it really matter whose blog gets the most likes and subscribers?!?! ( a snippet from the write up I didn’t post). Everyone brings there own character and energy in their videos. I lust over my own hair. Of course you all have beautiful hair too but I love my own just a little more! As I always say your hair is YOUR hair! So what’s all the fuss about?!?! Since we started the 30 day hair challenge. 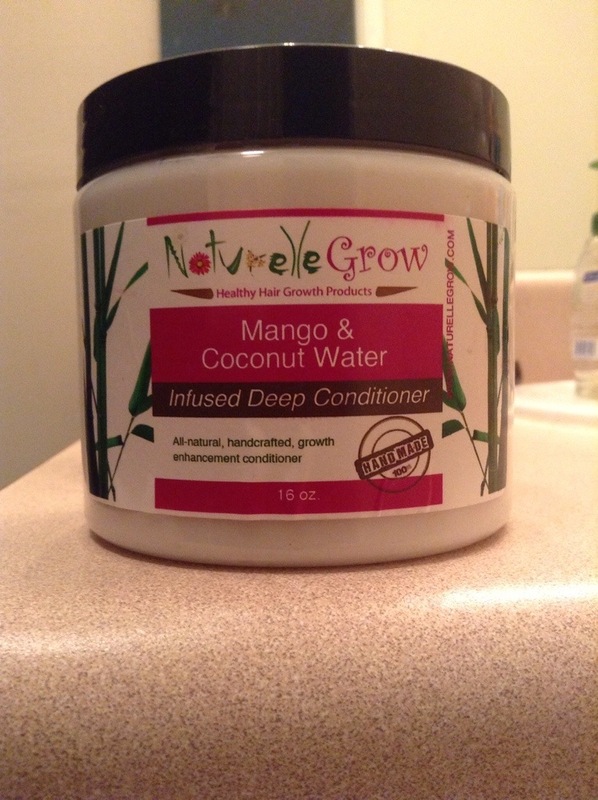 I’ve been using the Mango Coconut water Infused Deep Conditioner weekly. I can feel myself ready for a hair change (another color) so I wanted to get in the habit of deep conditioning weekly instead of bi-weekly. So far I love the smell of the product lol and I love how soft it makes my hair feel after I’ve let it sit for about 30 mins. 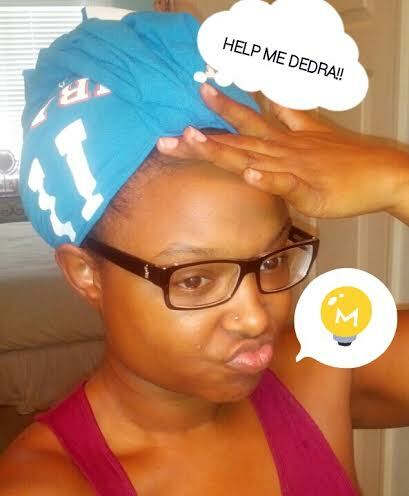 I don’t sit under the dryer I place a cap over my head and a towel for the heat and busy myself until it’s time to wash the conditioner out. Doing weekly deep conditioning I’ve noticed that my hair looks shiny and again feels softer. I like to detangle my hair when I apply the deep conditioner and I’ve found that it makes my hair manageable when doing so. 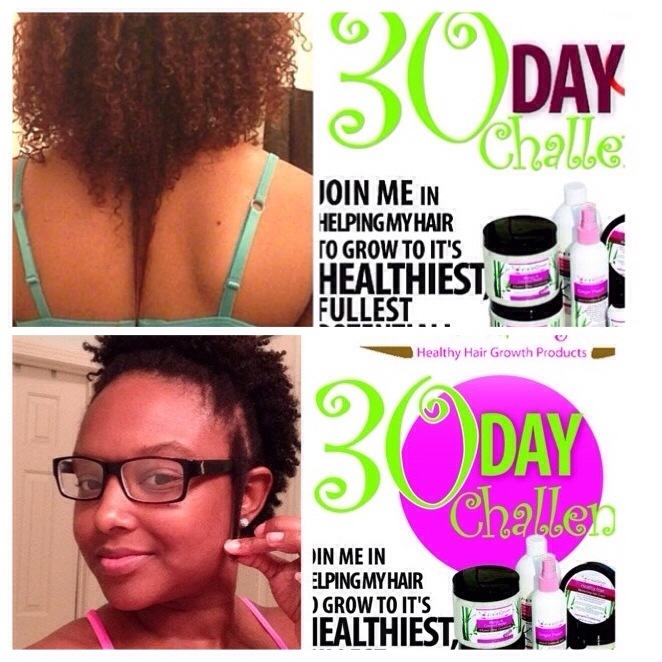 If you guys didn’t know we have been doing a 30 day hair challenge with Naturellegrow hair products. This is our midpoint progress with hair. So far my fav that I’ve been using a lot is the deep conditioner. Product reviews and hair tutorials coming soon! 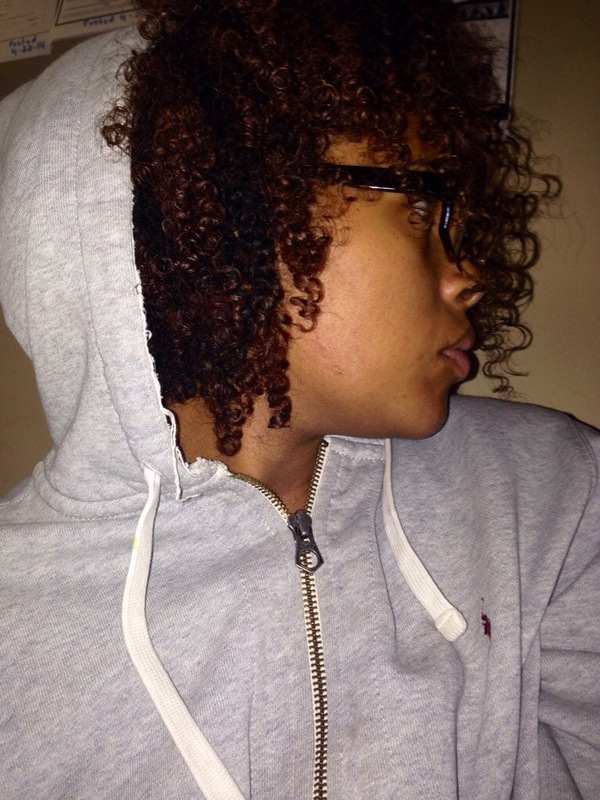 This entry was posted in Uncategorized and tagged natural hair. Let’s face it ladies, taking care of unprocessed hair or hair in its natural state is no walk in the park. It takes time patience and a whole lot of care. Being that we all have different textures, each one of our regimens will vary from natural to natural. Often times we tend to get caught up in mimicking what we see other naturals do, but we must tread lightly. Hey I’ve been guilty of mimicking too!!! Does this sound familiar…??? you watch a video or tutorial; follow it to the tee and your results look nothing like what you just watched. Yeah been there!! I’ve found that the best way for me to achieve great looking hair is LISTENING to it. My hair tells me what she wants and I give it to her. For example, if she’s feeling/looking dry, I’m off to find my spray bottle of water or in the shower to co wash. 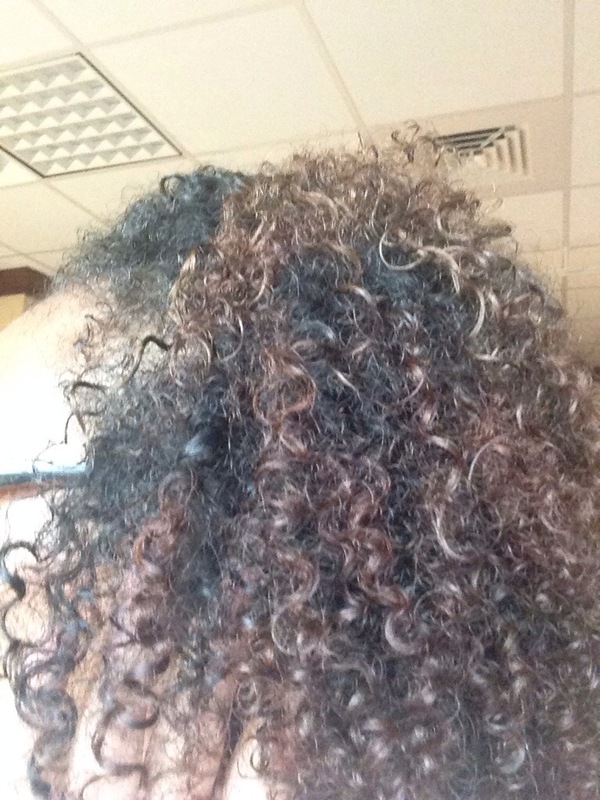 If I notice a lot of single strand knots, I know its time for a trim or maybe a good deep condition. From listening to my hair I was able to develop a regimen of my own that not only produced great looking results but benefited the overall health of my hair. Its all about LISTENING!!! I’ve been seeing this look on YouTube and Pinterest where people use a headband. I just used my own hair. This entry was posted in Protective Styles and tagged natural hair. In my almost 9 year journey I’ve learned that you can’t go off of what everyone else does or says. Yes, I take and give lots of advice but I always like to experiment for myself. What may work for your hair may not work for mine but I’ll try it. Just because we have different hair textures doesn’t mean your techniques won’t work with my hair but I’ll try it. I’ve done just about anything you can name with my hair except a sew-in ( I will be trying it sooner or later though). I’ve had my share of heat damage, breakage, split ends. But being natural is all about trial and error with your hair being the consequence. I’m saying all this to say that there is nothing wrong with wearing weave, wigs, braids or even straightening your hair. As long as you are aware of the consequences and are prepared to deal with it. Being natural has advanced so much from when some of us started so there should be no worries! There are so many different techniques of how naturals retain length. Hair grows about a 1/2 inch every month. Of course this statistic varies from person to person. Everyone doesn’t do the same thing when it comes to retaining length for there hair, but consistency is key with anything to get results. I’m going to touch base with a few length retention techniques that I do. Moisture: for those that are new to being natural water is your main moisture! Drink it, use it on your hair, make sure it’s in your products. You also have to seal in your moisture because water evaporates. I seal in my moisture using a leave in conditioner and an oil. There is no specific product brand that has to be used. Use whatever works for YOUR hair even if it’s not a leave in or an oil if it helps retain moisture use it! Eat Healthy: I try my best to incorporate healthy eating in my everyday meals, but unhealthy meals are so tempting and good! I have cut back on my cookie intake ( cookie connoisseur here). Eating healthy is not only vital for your body but for your hair as well. Think of it as taking care of a plant, you water and take care of it and it grows. I’m a big vegetable lover my favorite are cucumbers! Low manipulation/ protective styles: I’ve really been into low maintenance styles these past two weeks. Doing my hair on a daily basis takes up a lot of time that I don’t always have and protective styling has become convenient for me. Specifically doing styles that hide my ends. Low manipulation styles and protective styles are known to promote hair growth and help retain length. End trimming: The ends of your hair are the oldest and need the most care. Keeping up with your ends and making sure they are healthy is key! Having split ends are not cool and your hair will just become damaged. I am not one of those people who like to cut their own ends this is one of the only times I go to a hair salon. But by all means if you don’t mind snipping your own hair go for it! Finger Detangling: I use to never do this much because it takes a long time (dry detangling does) but it definitely stretches out my shrinkage and your fingers unlike a comb can feel when how the hair is being pulled and snagged at. Less breakage as well. Hair stretching: there are different methods of hair stretching. I like to band my hair for air drying. Shrinkage is annoying and I can’t stand it! I accept it but I don’t like it! Since I’ve started banding my hair to dry it my hair does not shrink as much and it make it easier to manage once I take the hair bands out. These are the length retention methods that I do! I would love to hear what everyone else does even if it’s one of the ones that I do! 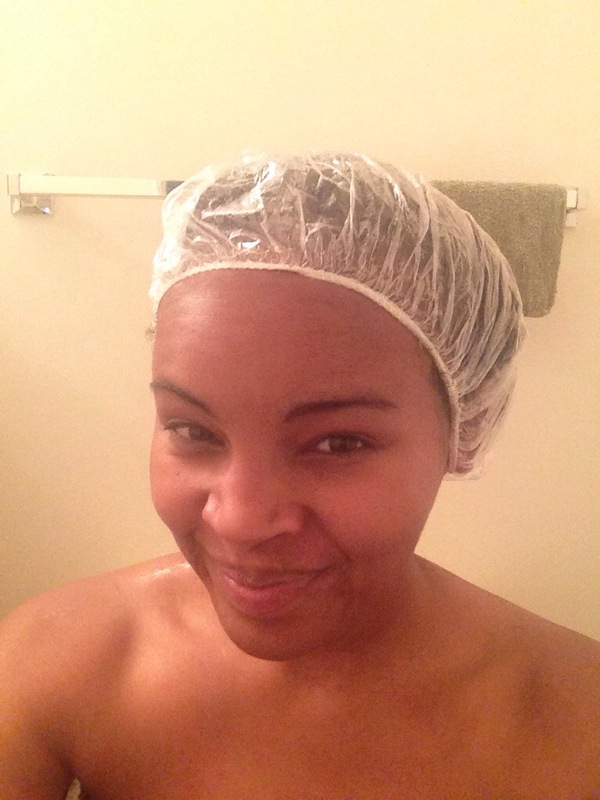 This entry was posted in Regimen and tagged natural hair.